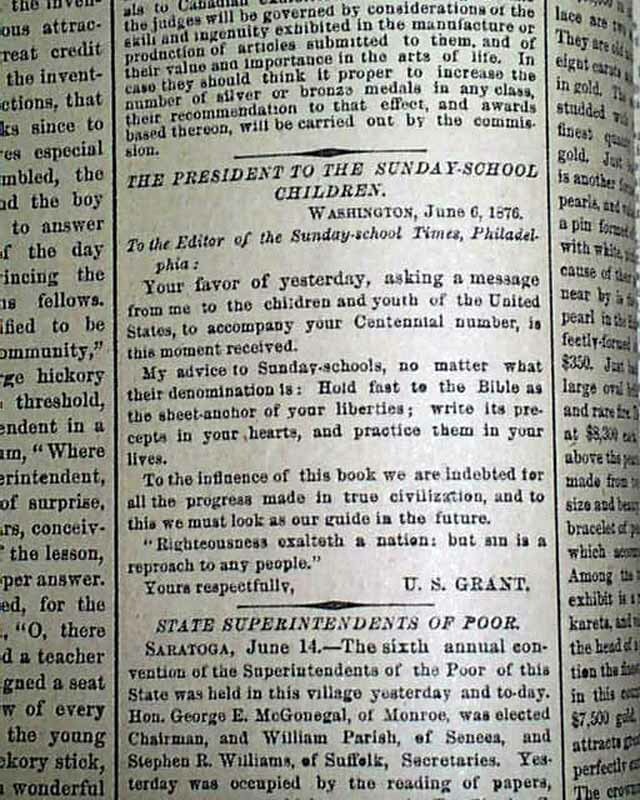 Page four has the text of the letter President Ulysses S. Grant wrote to the children and youth of America at the request of the editor of The Sunday School Times for insertion into the Centennial Edition. 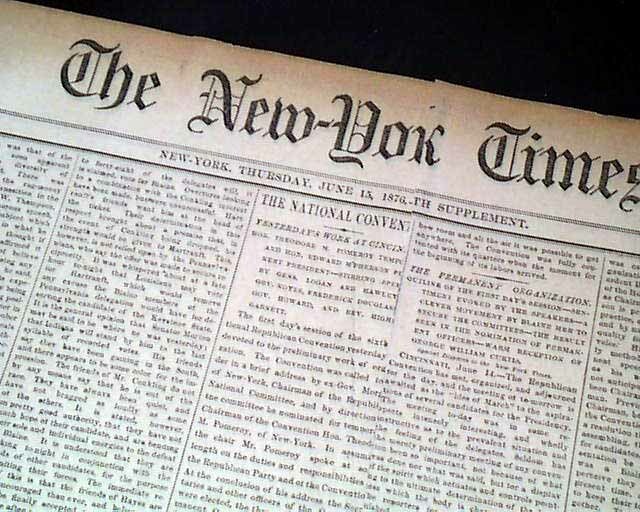 The letter emphasizes the importance of the Bible in regards to life and liberty: "My advice to Sunday Schools, no matter what their denomination, is: Hold fast to the Bible as the sheet-anchor of your liberties; write its precepts in your heart, and PRACTICE THEM IN YOUR LIVES. To the influence of this Book we are indebted for all the progress made in true civilization, and to this we must look as our guide in the future. ‘Righteousness exalteth a nation, but sin is a reproach to any people.’ Yours respectfully, U. S. Grant”. 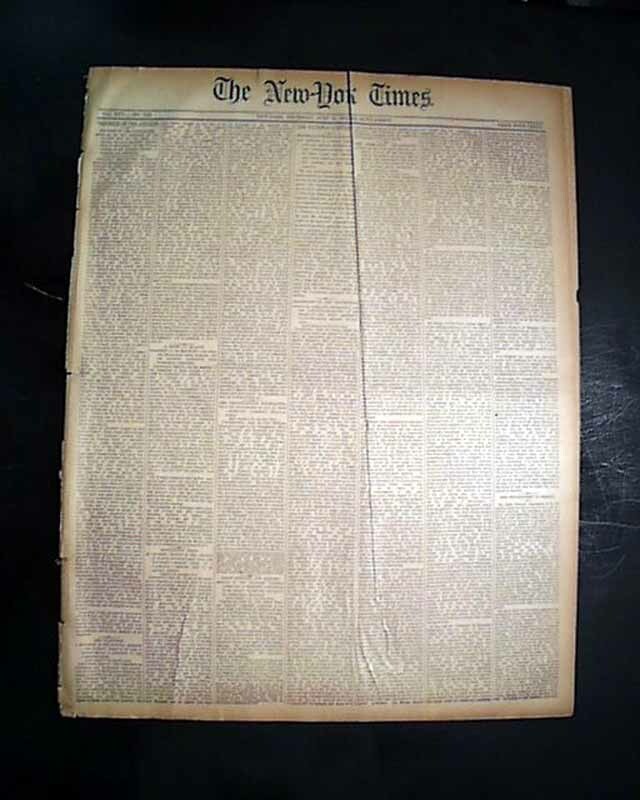 Complete in eight pages, has a front page crease and archival mend which do not impact the above and should be left as is, minor edge tears, but is in overall good condition for the period. Should be handled with care.